The Anatomage Table is the only fully segmented real human 3D anatomy system. Users can visualize anatomy exactly as they would on a fresh cadaver. Individual structures are reconstructed in accurate 3D, resulting in an unprecedented level of real accurate anatomy, dissectible in 3D. Anatomy is presented as a fully interactive, life-sized touch screen experience, in operatory bed form. 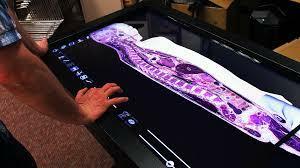 The Table allows for exploration and learning of human anatomy beyond what any cadaver could offer. 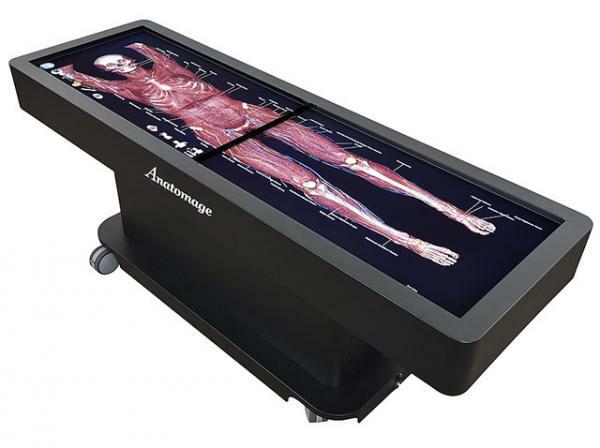 The Anatomage Table is the foremost advanced technology available for your institution. Students, parents, alumni, and visitors will be impressed with the presence and visual impact of the Table. There are no chemicals to deal with, no unpleasant smells, no recurring facility costs, no regulations and a higher student adoption rate over traditional cadavers. This system will set your institution as the technology leader in your community. Anatomage offers 4 gross anatomy cases, more than 20 high resolution regional anatomy cases, and more than 1000 pathological examples, including animal cases. These are high resolution and high quality cases are unique to Anatomage. Thousands of structures are meticulously segmented from photographic images to deliver the most accurate real 3D anatomy. Even individual vascular structures are meticulously traced to be accurate. All this is made possible by Anatomage’s unique technology and years of painstaking segmentation work. These features cannot be copied overnight and we are proud to say that we are the only ones that offer such content. The Anatomage Table based education is proven to be effective. Growing publications show improved test scores, more efficient class and lab sessions, and student acceptance. 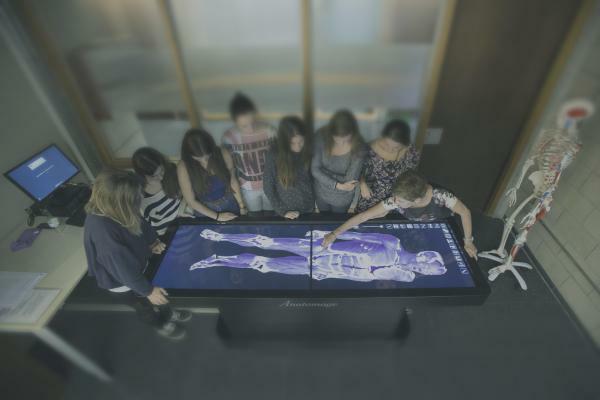 The Table allows students to interact with young and well preserved digital cadavers instead of aged and degenerated bodies. Students are also exposed to different anatomical variations and a large number of pathological variations. The accurate details and rich content draw students’ interest and attention leading to more effective education outcomes. Anatomage Table Clinical version is an FDA cleared radiology software. Compatible with any medical imaging data such as CT, MRI, it can integrate with PACS system to serve as radiology review system for both clinical and educational purposes. Anatomage offers the highest quality and performance volume rendering ever developed, refined over a decade, and proven to be reliable in more than 10,000 clinics world-wide.